Along with a host of other defining factors, climate and weather are inextricably linked with making gardens, so of course plant people are understandably obsessive about both. 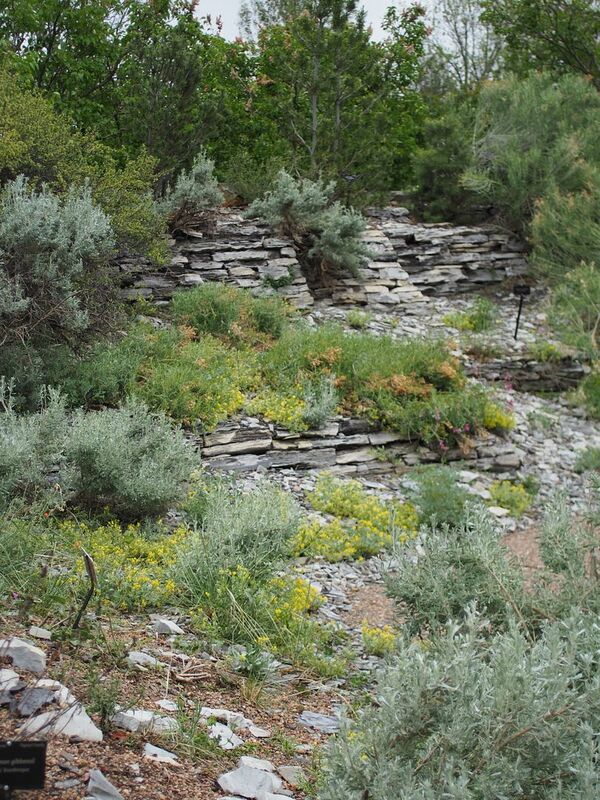 How climate mediates garden aesthetics could fill a book or two. I’ve been spoiled by the relative simplicity of Southern California’s mediterranean climate and weather patterns: Will it rain in winter or won’t it? How hot will summer be? There are some frost pockets in the canyons and foothills of Los Angeles County, but here near the coast isn’t one of them, so the growing season seemingly extends into a blurry, bountiful horizon. After some early trial and error steeped in wishful denial, I long ago came to terms with having to forego growing some gorgeous plants, pretty much anything requiring specific hours of winter chill for sustained dormancy. 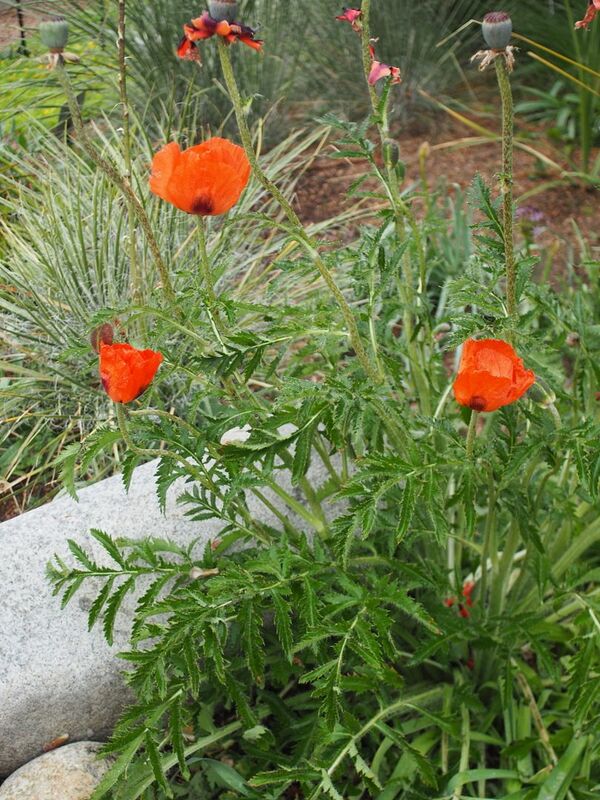 Oriental poppies were an early, particularly die-hard fetish. 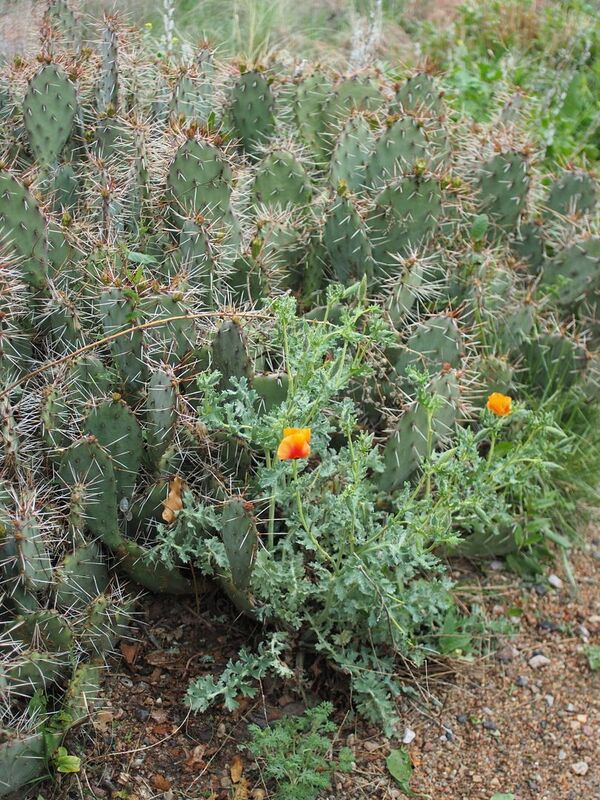 Climate, geology, and altitude of origin are some indicators as to whether a plant stands a chance in our gardens, but sometimes you just have to grow it to be certain. 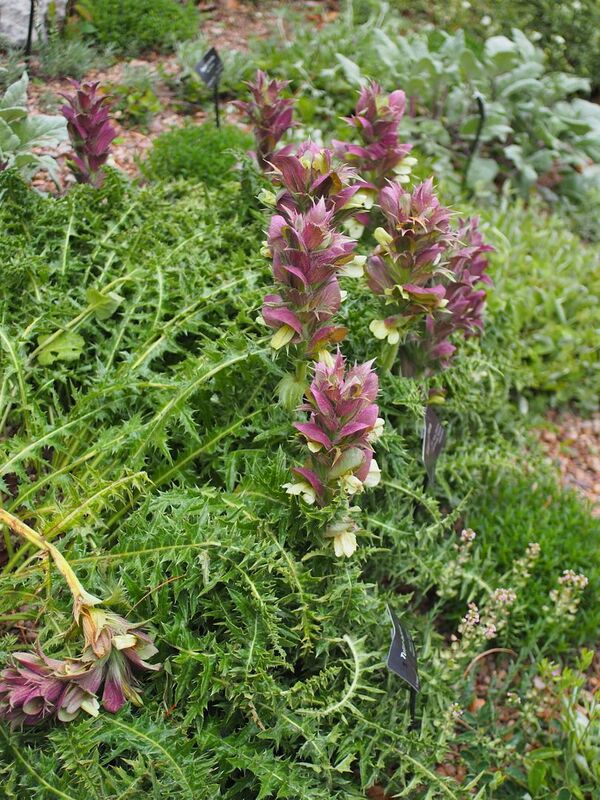 It’s uncertain if Acanthus syriacus, seen here at DBG, will grow in my garden. I’ve killed it just once so far, and we all know we get three tries before being labeled plant sadists. 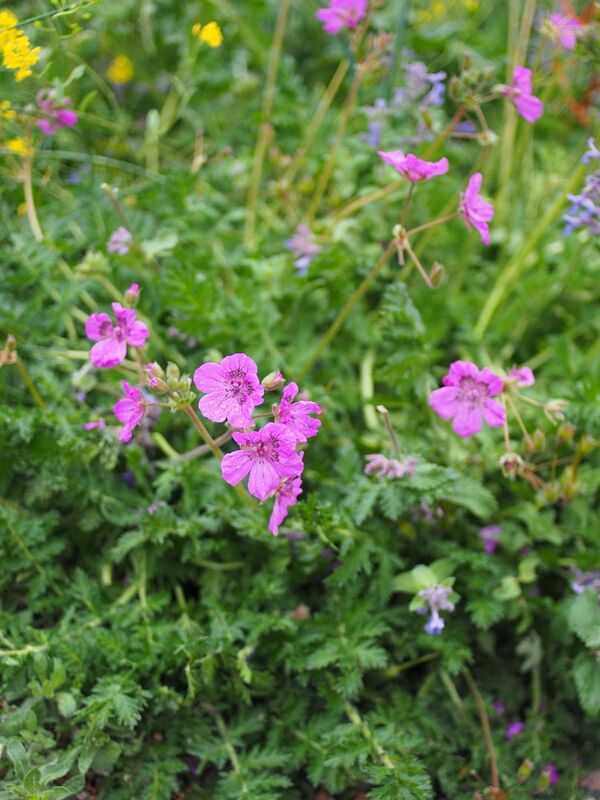 When I was an apartment dweller, compact alpine and rock garden plants seemed the perfect fit for a small deck, so I fired off dense purchase orders to Russell Graham, Purveyor of Plants, and Siskiyou Rare Plants Nursery. 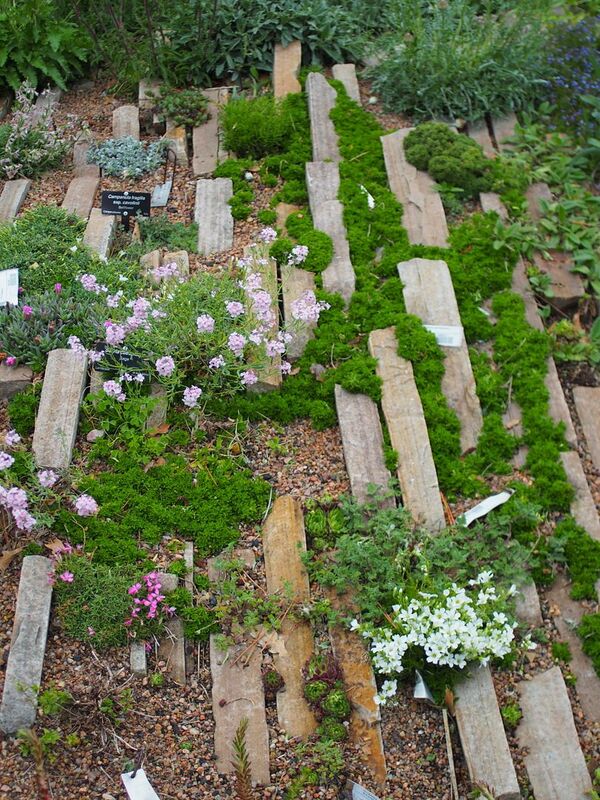 Growing high-altitude alpines in Los Angeles was, not surprisingly, a long, frustrating learning curve. The baking sun I could provide; the glacial melt trickling near the root zone I could not. Erodiums are one of the few successes I remember. 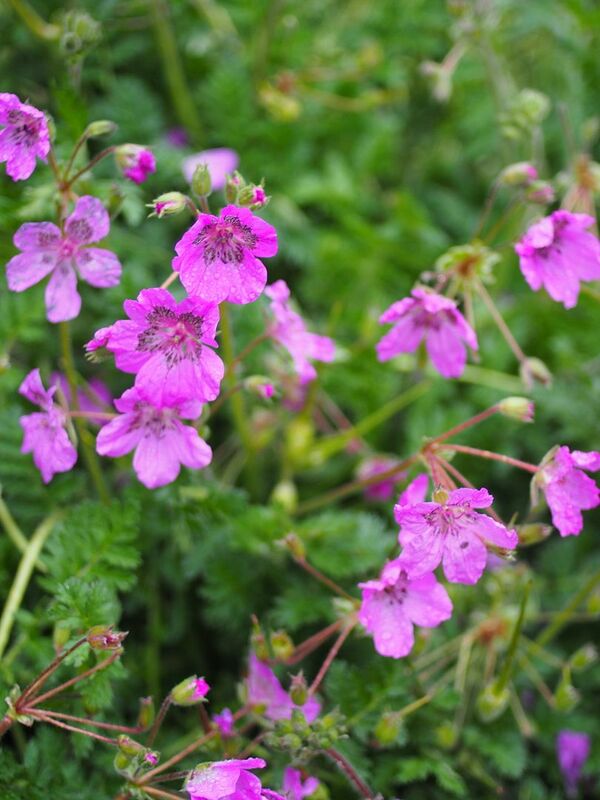 Colder gardens can employ the trick of bringing potted, tender things indoors for the winter, but there’s no equivalent trick for making cold-requiring plants happy throughout a mild winter, no pushing zones the other way. 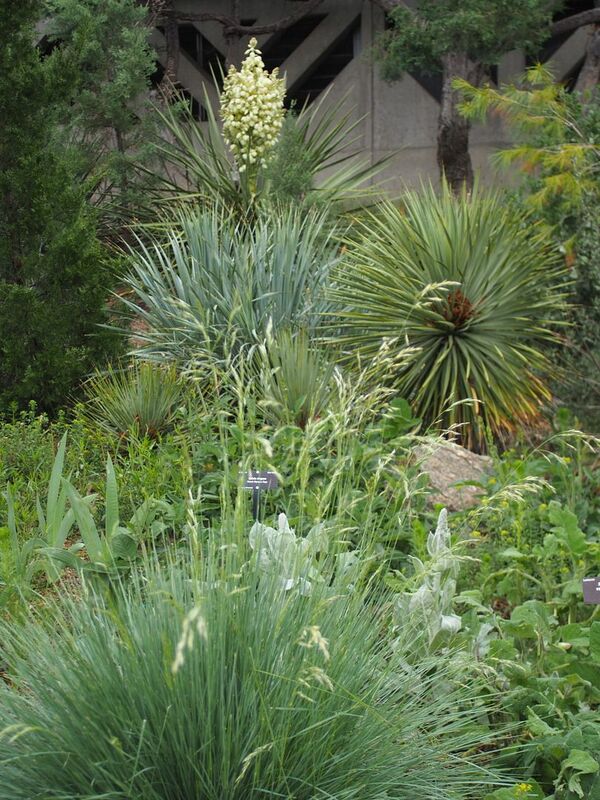 Which is why traveling to see gardens in vastly different climates is such a pleasure. 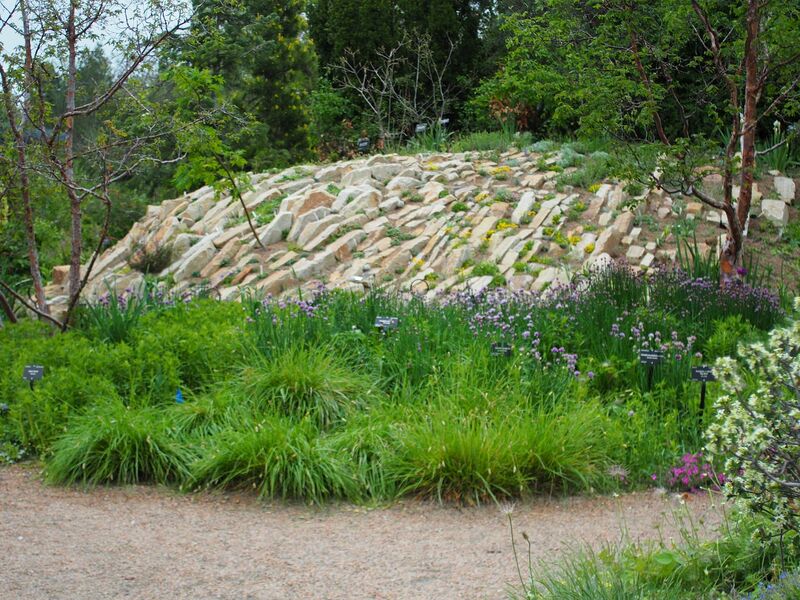 I had an occasion this May to visit Denver, which to me is synonymous with the world-class Denver Botanic Gardens. 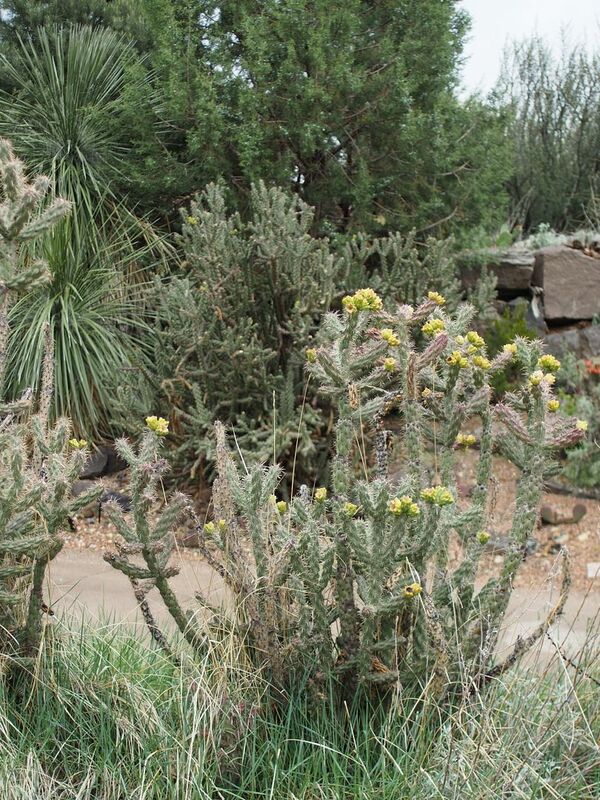 And though I know the DBG is the success it is due to its many valued employees and volunteers, the DBG has become synonymous in my mind with Panayoti Kelaidis, senior curator and director of outreach. 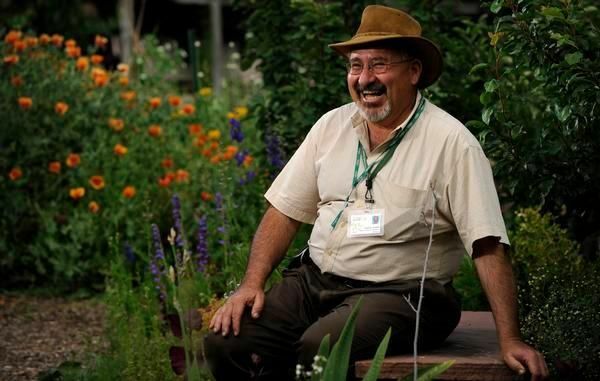 When this rock garden hero and living horticultural legend was invited to speak at South Coast Botanic Garden this past February, I was determined to approach him about my upcoming trip to Denver and ask about any other sights I shouldn’t miss. I must have circled the orbit of fans chatting with him before that talk in February a half dozen times before drumming up the courage to introduce myself, but any sense of him being imposing or formidable was all in my timid mind. He is a friendly, gregarious, Nabokov-loving hoarder of languages and botanical knowledge attained through a lifetime sustained by boundless curiosity. 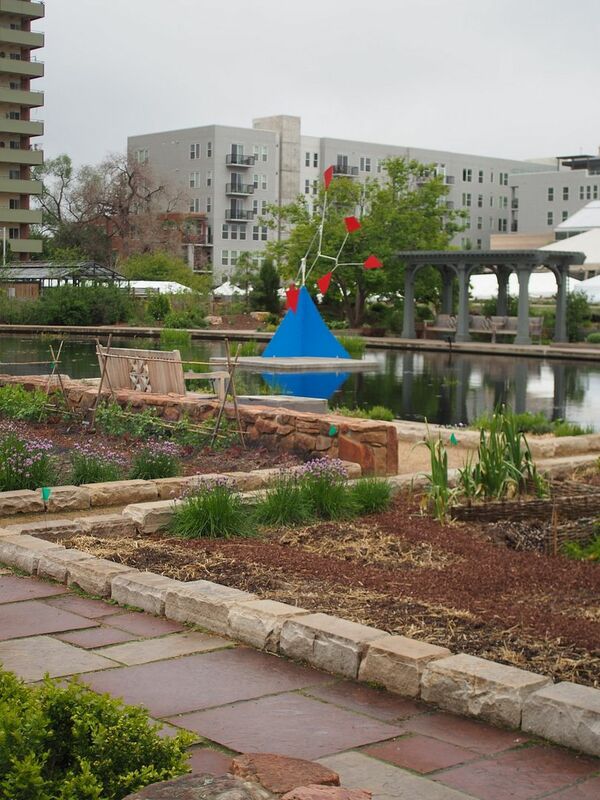 He asked what month I’d be visiting Denver, and I answered that, luckily, it was in May, when all gardens have safely embarked on the business of a burgeoning spring, and he cautioned don’t count on it, that Denver sometimes has snow as late as May. So I began diligently tracking Denver’s weather for May, and forecasts were consistently predicting 60s and 70s. 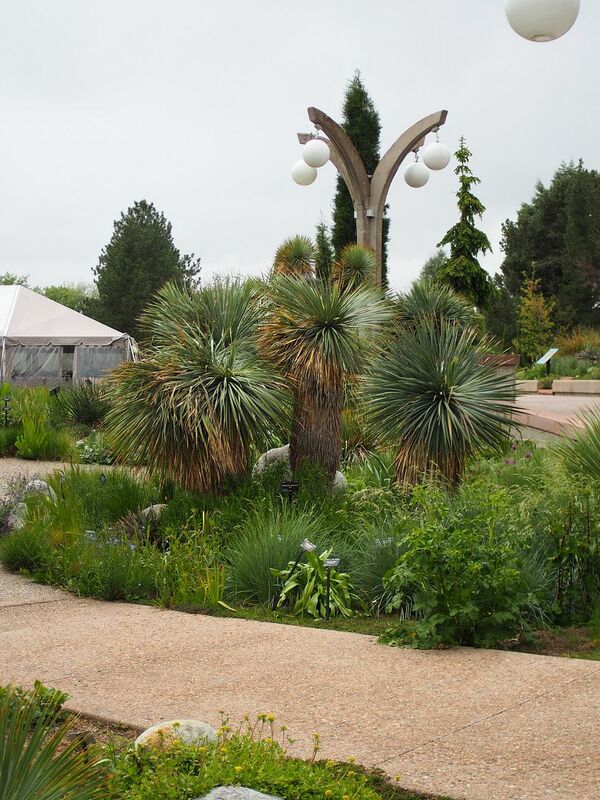 We arrived on a Wednesday, May 10, grabbed a rental car, and because our schedule was tight, headed straight for the DBG, where I found a garden that looked to have been tuning up for a brilliant performance that was abruptly and mysteriously cancelled. Smashed flowers and torn leaves were everywhere in evidence. I immediately suspected hail, but because we were attending a nephew’s graduation, with family pouring in from several states, a news blackout descended on the visit as socializing became the priority. So it wasn’t until the end of the trip that I was able to confirm Denver had been struck by a severe hailstorm two days before my visit that was in contention for one of its top ten worst such events. Returning the rental car four days later, the agent apologized for the delay in processing because they were still recovering from computer problems and down time brought on by the hailstorm. Because our visit Wednesday turned rainy, I didn’t get many photos. But what I’d seen at the DBG stayed with me throughout the visit. I asked relatives from nearby Wyoming how reliable local weather forecasts were for planning out the week, and my sister-in-law replied not at all; they can unexpectedly get four seasons in a week. The Rocky Mountains stir up weather events precipitously and apparently beyond the predictive abilities of forecasters. Indeed, the graduation on Saturday enjoyed temps in the mid 80s, and after I left on Sunday a snowstorm descended, piling up 3-foot drifts in Denver. So the spectacular rush of spring growth I had been excitedly anticipating was set back some weeks, but the allure of the DBG is much bigger than that. 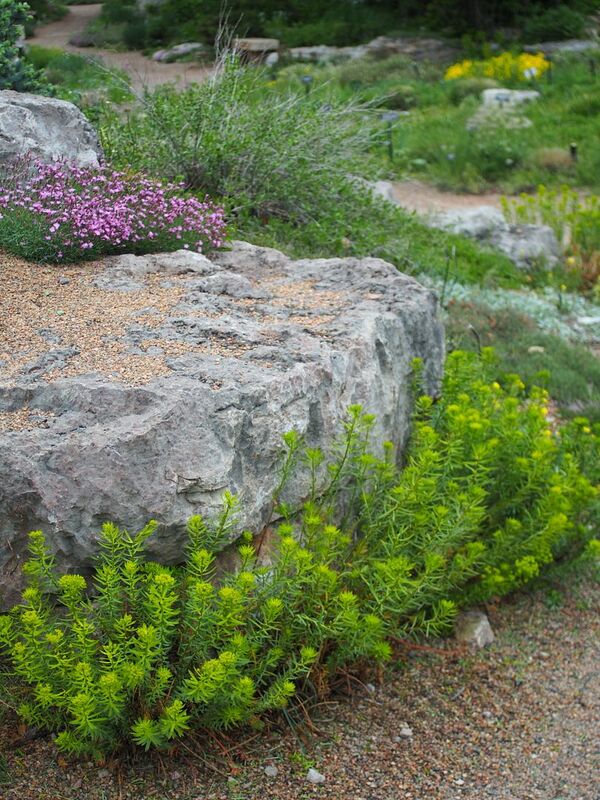 The rock gardens and crevice gardens were mesmerizing, showing little damage from the hail. And when we drove up to Fort Collins on Friday for the graduation, through Rocky Mountain National Park, it was awesomely clear that the genus loci of the DBG resides in and celebrates the unique climate and geology of our majestic Rockies. I can’t wait to go back. Beautiful specimen of the cold-hardy Sea Urchin Cactus, Coryphantha echinus. I loved the urban setting of the DBG too, nestled amongst high-rises, available for a lunch-time jaunt. Along with unpredictable hailstorms, my trip was full of other surprises as well. 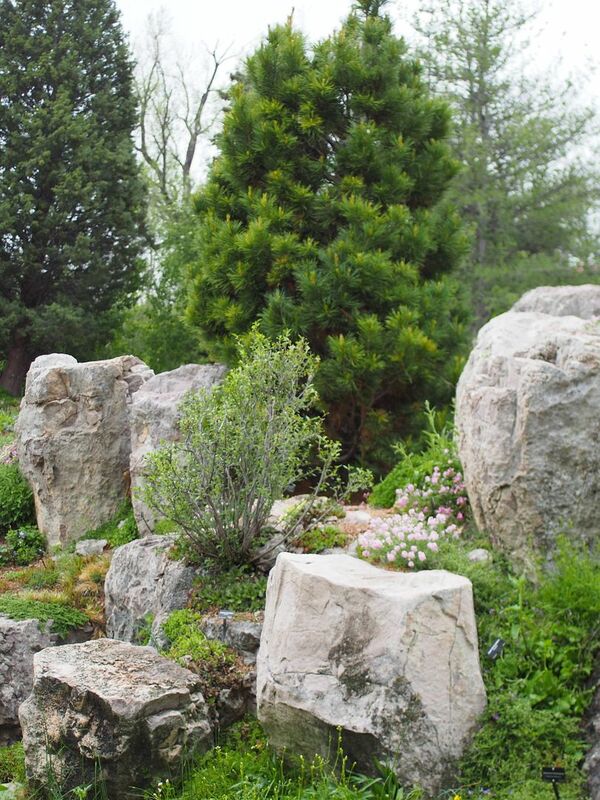 I was asked by docents if I’d be attending their spring plant sale on Friday, two days away. (Say what?!) 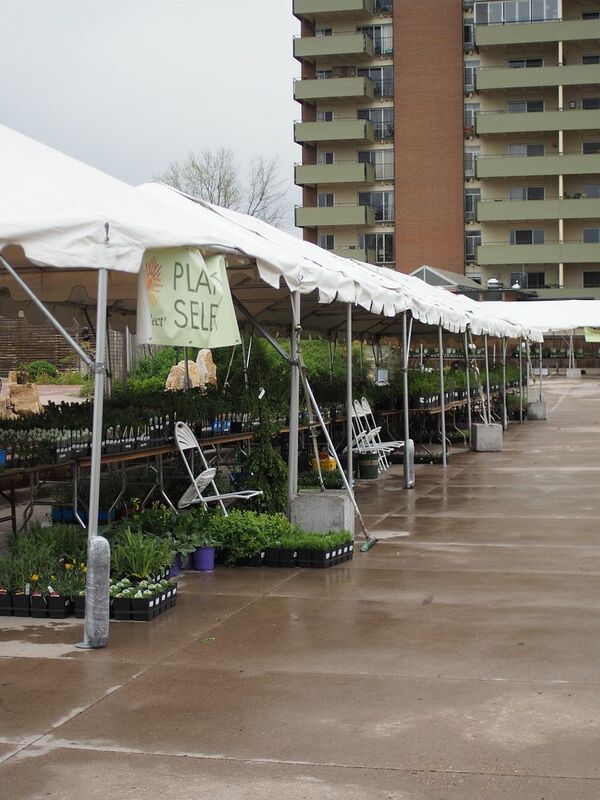 We were planning to leave Denver on Friday for the drive to Fort Collins, but Marty insisted — insisted, I tell you — that we stop at the DBG plant sale on the way out of town first. Friday was a balmy, sunny day (the above photo is from Wednesday), and the plant sale turned out to be an amazing treat, one of the biggest and best-run sales I’ve ever attended, where I was able to find some of the erodiums I’d been admiring in the rock gardens. Marty and his brother drove the plants home packed in amongst my nephew’s dorm furniture, and I flew home Sunday, powered by mountain tailwinds, with a newfound respect for the unpredictable weather generated by the climate system of the Rockies and a botanic garden that successfully captures such extreme beauty. 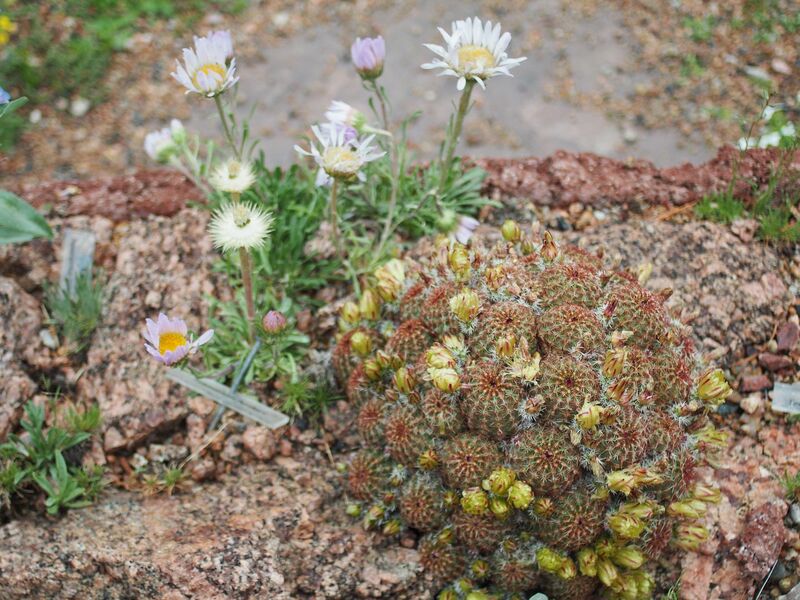 This entry was posted in climate, garden travel, garden visit, journal and tagged Acanthus syriacus, Coryphantha echinus, Denver Botanic Gardens, Erodium castellanum, Lauren Springer-Ogden, Nate Silver, Panayoti Kelaidis, rock gardens, South Coast Botanic Garden. Bookmark the permalink. So glad you had a great visit, even though it was after a hail storm. Hail is the worst! Ok, I’m sure there are other things just as bad, but that feeling of helplessness while it falls and your looking at you garden is terrible. Lauren Springer-Ogden was my gardening hero and mentor-by-book when I started my garden in Ohio. Different climate, but The Undaunted Garden had such great, universal lessons to apply, inspiration galore and a snarky sense of humor. What’s not to love? Tim, your recommendations were so helpful. I completely agree with your opinions of The Undaunted Garden — such a great book and probably where I first learned of PK. I can see why you loved your time in Denver. A great city in a spectacular setting. Looks to be a beautiful place, with Rocky Mountain rock adding a lot of interest. I was there on business once. It was 35F for 2 days, then it was 90F for two days. Plants that can handle that over 4 days must be tough! I enjoyed your thorough coverage of where half my pre-adult years were spent! No wonder I moved to where your link ranks as more predictable and stable, including how it snowed 18″ a few days after our HS prom in mid-May when it was over 90. That makes sense the Rockies nearby stir up weather, but they also funnel it from north or south along the high plains where Denver is actually located. When moisture comes in from the east, look out. The high plains’ short grasses always took hail and bison in stride!